12/04/2018 Couldn’t ask for any better service. 11/29/2018 Everyone I met or talked to was very professional and courteous. Performed the work on time as requested. 11/21/2018 Your team was so well organized and efficient. They also were very respectful and consideret. Thank you for employing such professional people. Kudos to you and your team and happy holidays to all of you! 11/20/2018 Services matched what they promised. Job done professionally and with great care. Especially proud of what a great job they did in cleaning up upon completion, showed great concerned about post job appearances. 11/15/2018 The crew was here at 7:30 AM and finished at 1:45 PM. They cleaned all around the house, driveways and street. PERFECt!!! Also had a solar tube installed in my laundry room. 11/15/2018 The crew arrived early, got right to work. Cleaned all around the house, street and driveways when finished. Also had one of those solar tubes installed in my laundry room. Love it. 11/15/2018 The crew arrived at 7:30 AM this morning and was finished by 1:45pm. They cleaned up after themselves and everything looks fantastic. 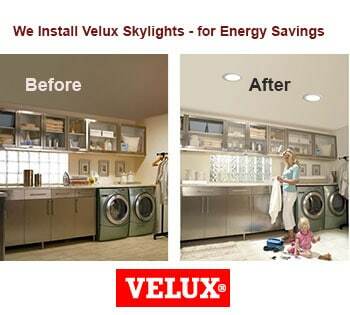 I had them install a tube light in my laundry room WOW what a difference. 11/15/2018 WOW! This roofing business knows what they are doing. The crew showed up on the day scheduled., and they were early. Eight men jumped out of trucks and cars and started working. They were all so nice, didn't waste a minute, and finished in 7 1/2 hours. They cleaned everything up. The best part was they worked as a team. It was very impressive. I hired this company because I felt they were the best in town. I was right! 11/15/2018 I know this was a small job compared to most home roofs but important to me. Crew arrived as stated and got right to work. They finished and cleaned up all debris in a timely manner. I had your company re-roof my home a few years ago and because I was so satisfied then is why I looked to you for this small job I needed. Thanks, to the crew. 11/04/2018 The entire staff at Dumanovsky Roofing was great to work with. From my interactions with the office staff, the work proposal bid to the installation work, it was all completed in a very professional manner and I would recommend letting Jeremy give you a bid and complete your project. Thank you to all the entire team at Jeremy Dumanovsky Roofing. 10/15/2018 I got a few quotes for my roofing repair and they had the best quote for the work that I needed to have done. I am impressed with how quickly they were able to get my roof done. The communication about the issues that came up with my roof was quick and easily handled. The crew was friendly and efficient. I highly recommend Jeremy Dumanovsky Roofing to provide quality service at a reasonable price. 09/29/2018 They were fast and the roof looks great! They cleaned up after themselves. I would highly recommend them! 09/25/2018 Jeremy Dumanovsky Roofing did an excellent job replacing our complicated geodesic dome roof! They took their time to ensure that all the shingles are laying properly on the multitude of angles and that water would be diverted to the gutters so there won't be any puddling. The project was properly staffed with skilled, experienced roofers so I have no doubt that the roof will be watertight for years to come. They also did a great job of cleaning up at the end of the project. 09/19/2018 The whole crew did a great job on our roof! They removed the old tile roof, repaired some unexpected rot, and laid the new composite roof and flashing down in the same day. They also installed 2 solar tubes which allows so much light into our previously dark hallway. 09/04/2018 Roof replacement was challenging on many levels - an older home with cedar shakes in poor condition. In addition, I was managing the project from out of state. Service was exceptional from the initial project request to completion. Due to the nature of the job, there were various issues that needed to be resolved. The office personnel were polite, courteous, professional, and knowledgeable. The cost of the job came in as quoted and within budget. Highly recommend Dumanovskly Roofing! 08/02/2018 The current project was the second tear off and re-roof project your company did for me in the last year. The first project you provided exactly what was agreed upon at the price quoted and exactly when promised. Your people were courteous, professional, worked hard and did quality work. The site was left spotless. The second project was a repeat of the first, I was not disappointed in the least. It is refreshing to find someone who does exactly what they promise. Keep up the good work. 08/01/2018 I would highly recommend using Jeremy Dumanovsky Roofing for your next roofing project. I recently had my roof replaced and am very satisfied with the job. The large crew(14 I believe) arrived at my home at 7:30-8 AM and promptly went to work. They completed the entire project in 6 1/2 hours, which is impressive for an 1850 sq. ft. home. The cleanup was also impressive -- except for the new roof, you would not have known they had been here. The new roof looks great! 07/24/2018 They did everything they said they would do: prompt arrival exactly on time, professional, pleasant and respectful of the neighborhood and the rest of my property. They cleaned up thoroughly before leaving. And they did it in one day. Did I mention that the roof looks great? It does. 07/12/2018 My new metal roof was completed in one day. Although I couldn't be home that day, my friend who is a retired contractor was there and he was thoroughly impressed with the crew and their workmanship. He is not easily impressed and that speaks volumes to me. When I got home the following day, everything was completely cleared/cleaned; the only evidence of the crew's presence was the new roof.) Now I wish it would rain:) Thank you to everyone at Jeremy Dumanovsky Roofing!! 07/09/2018 Unfortunately we had to be out of town when our roof was to be replaced. We would have liked to see the work bring done, but we came home to a beautiful new roof. There were a few small concerns we had which were addressed right away. Thank you for making this part of our house project go smoothly and painlessly. 07/05/2018 Easy and professional. They arrived on time, cleared my yard, respected my rules and family. It was quick and painless. 06/29/2018 Excellent experience all around. From final result of new roof making house look 30 years newer to the beginning of working out contract and details. Crew did great work, was respectful of property, and did a fantastic cleanup job afterwards. All this and he had one of the best bids I received. Rare to get this good of final work while working with great staff and a very good bid to boot. Will definitely use him again if I move to a house that needs it's roof done. 06/22/2018 Professional and delightful team of men. Excellent materials and workmanship. I highly recommend this company, with everything you expect from a roofing company and more. I was very pleased with the whole project from start to finish. "Well done gentlemen"